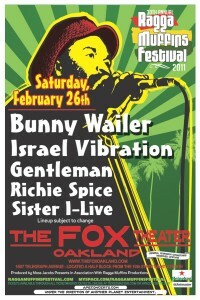 Please note shows at the Fox Theater are all ages. The Ragga Muffins Festival is an annual, all-ages event with thousands of attendees annually. Recognized as the premiere and largest Reggae Festival in the U.S. featuring top international artists, reggae legends and up and coming regional acts. The festival also offers an array of international arts and crafts and lifestyle vendors. 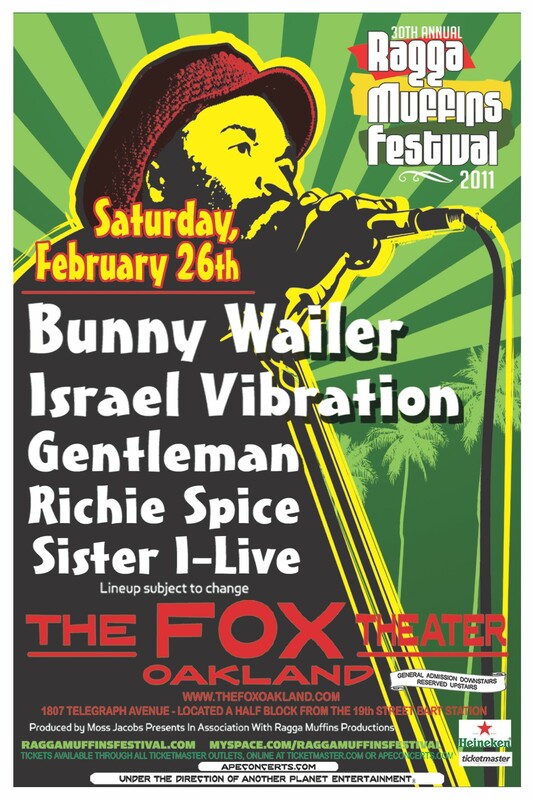 The Ragga Muffins Festival 2011 line-up includes top international artists who exemplify the Reggae spirit that Bob Marley championed. Congratulations to Waylon Myer who won a pair of tickets. The Raggamuffins Festival was first produced in 1981.